The Cluster of Excellence, Engineering of Advanced Materials EAM, at Friedrich-Alexander university of Erlangen-Nuremberg is delighted to receive support from the Bavarian Minister for Science, Dr. Wolfgang Heubisch. Heubisch’s support of a funding application should ensure the cluster receives further funding from the German excellence initiative for the second phase from November 2012 to November 2017. 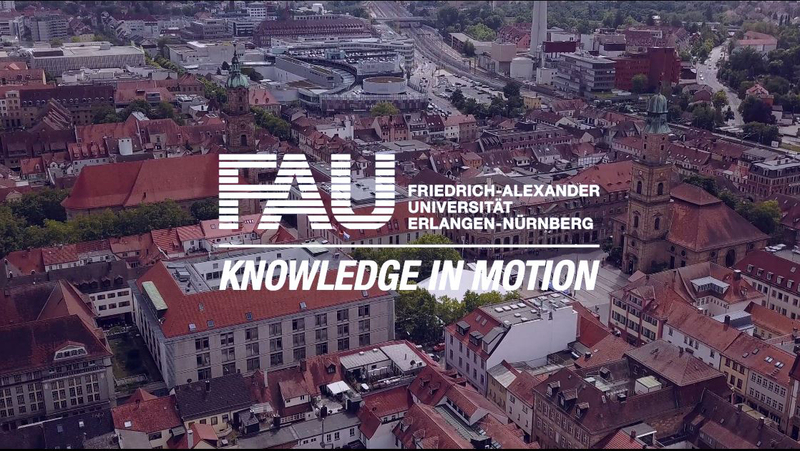 The coordinator of the Cluster of Excellence, Prof. Dr. Wolfgang Peukert, informed Minister Heubisch about the current state of research, progress made in attracting outstanding scientists from Germany and abroad, infrastructure development and the way in which the cluster structurally influences the FAU from within. Researchers presented numerous functional systems and components, known as demonstrators, which contain material with specific, new and unique properties such as transparent conductive nanocrystal layers with various electronic resistors, field-effect transistors, printed electronic components, new types of catalysts and new lightweight constructional components. The Bavarian Minister for Science was impressed by the work of the Erlangen researchers: “The Cluster of Excellence Engineering of Advanced Materials is proof of our universities’ excellent internationally visible research. In terms of its study focus, the cluster is itself unique within the excellence initiative and of tremendous importance to the status of German universities in the world. A successful application for the second phase of the excellence initiative, in which universities and the ministry work closely together, is therefore all the more important. The demonstrators are hierarchically structured along process chains from the smallest of made-to-measure component particles and molecules. Thus the results of basic research in materials and process engineering are transferred and developed into examples of practical application. Demonstrators represent an important and crucial element in the cluster which necessitates holistic thinking in process chains and close collaboration between scientists from many fields. Innovative high-performance materials are the sine qua non of product development in all fields and are developed at EAM for nanoelectronics, optics and photonics, catalysts and lightweight construction. Forty-two months after its approval, the Cluster of Excellence EAM has made significant progress, as numerous publications and scientific events show. Two hundred scientists from eight disciplines work together in more than 90 projects along the supply chain from molecules to materials. They cooperate with extramural research institutions such as the two Erlangen-based Fraunhofer institutes, the Max-Planck Institute for the Science of Light and with other selected industrial partners. With numerous international appointments, the university’s expertise in the field of new materials and processes has been strengthened in a targeted manner. The cluster’s infrastructure has been significantly improved and strengthened with investments in new appliances such as a high-resolution transmission electron microscope, extensive new development projects and the implementation of interdisciplinary centres for key research areas.